A homeowners saw a website advertising the cheapest move, and decided to use them. After all, isn’t it good to save? They were confident with their choice, and happily waiting for the movers to show up on the big day. 3 hours late, the movers showed up and began packing things carelessly in the old truck. Then, once everything was loaded, they asked for more money because the job was bigger than they thought. Shocked, the homeowners tried to get in touch with the moving company, only to find out that it was not a moving company at all: it was a moving broker, who had no real association with these movers, and couldn’t help them. These homeowners had no choice but to pay. Now this move was costing them hundreds more than it should have, and they were left stressed, unhappy, and with a bitter memory of what should have been an exciting day. We don’t want this to be your story, which is why you should know what moving brokers are, what you risk when you work with them, and how you can protect yourself. When you’re on a moving website covered in pictures of smiling people with moving boxes, your first thought is ‘moving company’. But before you contact them, take a closer look. It might be a moving broker. Moving brokers are not professional moving companies. They are a middleman company that operates by charging you a fee, then finding the cheapest possible mover available to do your move. Whatever the difference is between the fee and the actual cost, they keep. This is how they make their money. They don’t own any trucks or do any moving: in fact, they may not actually know anything about moving! They have more in common with a sales company than a moving company. When you call a moving broker, you actually have no idea who’s going to be moving you. This leads to a whole host of problems, ones a moving broker won’t be able to help with (or won’t care about). While a moving broker will give you quote online, they have no real knowledge or ability to give you an accurate one. They’re just trying to get you the cheapest move possible so they can keep the most money. Professional companies will come and do a home inspection before giving you a final quote. 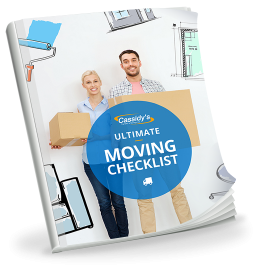 But moving brokers just send your information to the cheapest possible mover – and unfortunately, the people they hire can charge you more money once they arrive at your home and the quote is revealed to be inaccurate. 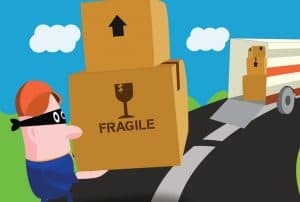 Some homeowners, like the ones mentioned above, have even had their belongings held for ‘ransom’ – movers refuse to deliver or offload the boxes and furniture until the homeowner agrees to pay more money. And there’s nothing you can do about it: after all, you need to move, and you need your stuff! Moving brokers are trying to keep their profits high while still offering ‘the cheapest move’, so they’ll hire companies that are unlicensed. Unlicensed companies don’t conduct criminal background checks on their movers, and often don’t adhere to any code of ethics when it comes to the move itself. This puts your move at risk. It breaks our hearts to get these calls, because often there’s nothing we can do if we’re already booked. Either the movers were unreliable and didn’t show up, or the moving broker couldn’t find someone to do the job, and didn’t tell the homeowners. Now this person’s whole life is turned upside down, creating an incredibly stressful and upsetting situation, all because they used a moving broker instead of an actual moving company. When you look online, there are 3 ways to find out whether the company you’re thinking about hiring is a real, reliable moving company or just a sales company trying to make a quick buck. Cassidy’s is affiliated with United Van Lines, a well-known, accredited company. While not all professional movers are connected to larger van lines, it’s a reassuring sign, and tells you that this company actually moves. 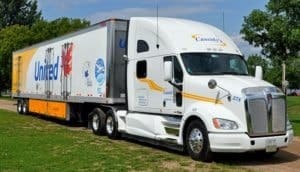 Moving companies in Canada are members of the Canadian Association of Movers (CAM). CAM members have a strict code of ethics to follow, and conforms to the standards of the Consumer Protection Act. Perhaps the most important thing to do is look at the company’s address. If they don’t have one listed, run away: this is a moving broker with no real trucks or facility. Even if they have one, look it up using Google Maps and Streetview. If it’s an apartment building, in an office complex, or doesn’t match up, it’s not a real moving company. When we give you a free moving quote, we can’t promise it will be the cheapest. What we can promise is that once we learn everything we can about your home and the move, we’ll be 100% honest and upfront with you about the cost – we guarantee it. We’ll treat you, your belongings, and your move with care and respect. And we’ll always show up. You want your moving day to go smoothly. Here's how to find the companies who are reliable and professional, and will give you good value for your money. Rogue movers will quote you a super low price over the phone, only to start loading on the surprise extra fees on moving day. Learn how to recognize and steer clear of this menace with the tips in our infographic.